The Julian date format is generally used as a timestamp in programming, manufacturing or other related fields like a reference for a batch number. 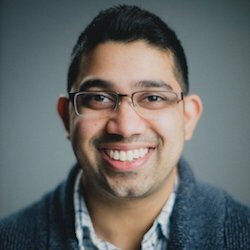 Generally, it has two format variations, comprising of 5 or 7 digits numbers, but in most of the cases, 5 digits format is used. 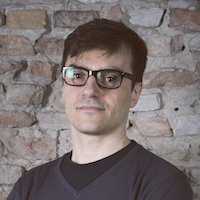 Here, we will learn how to convert a date to Julian format in both of these formats. 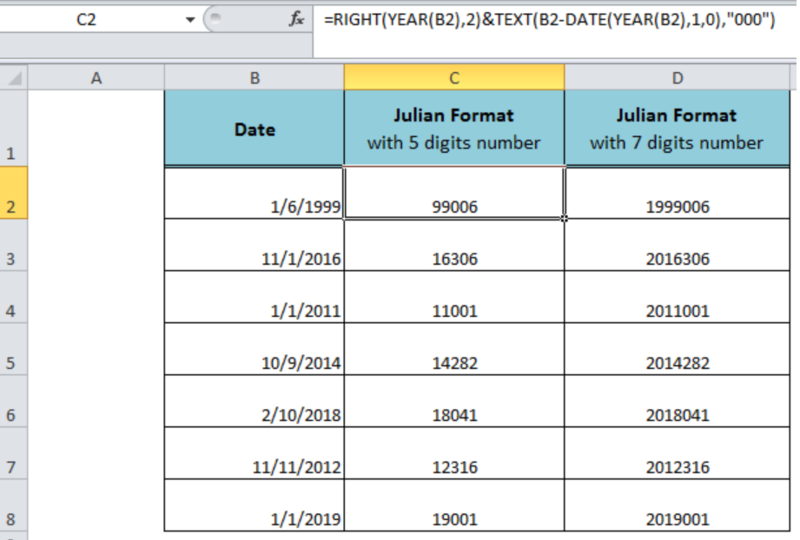 The first part of the formula, RIGHT(YEAR(B2),2), extracts the first 2 digits representing the year, and the second part of the formula, TEXT(B2-DATE(YEAR(B2),1,0), "000"), returns the last 3 digits number representing the day of the year from a given date. 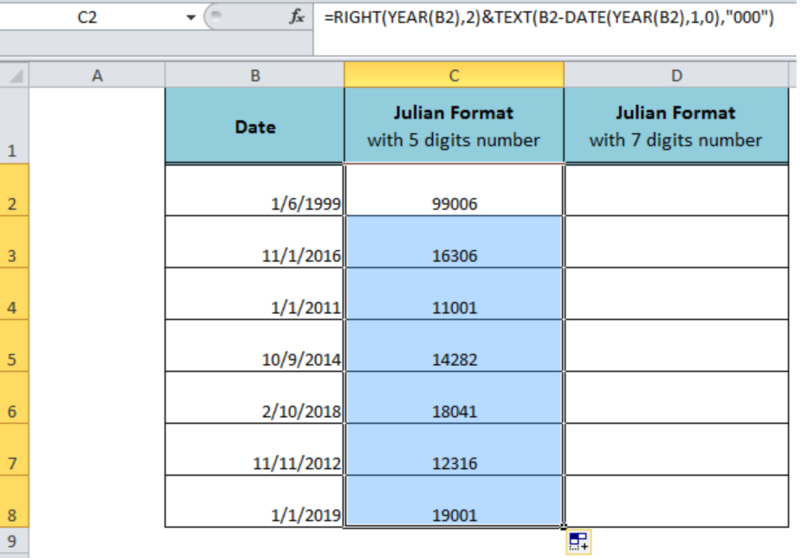 Copy or drag down the fill handle to convert remaining dates to 5 digits Julian format. 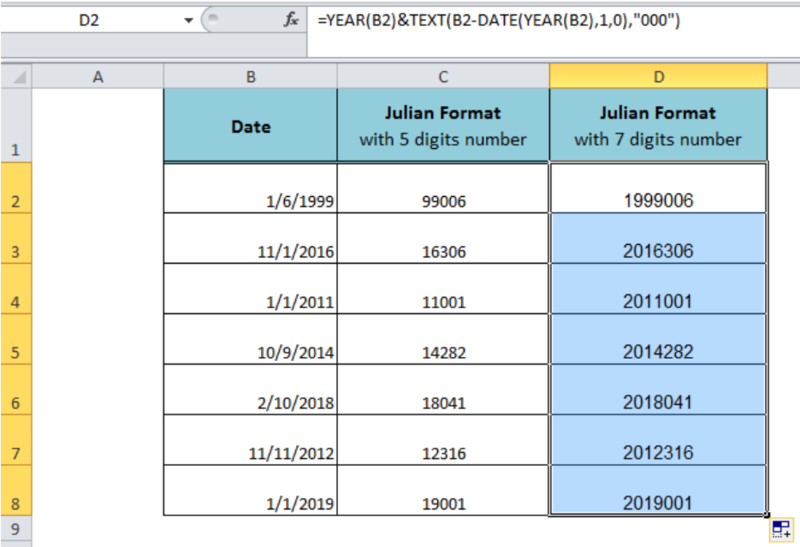 The first part of the formula, YEAR(B2), returns the 4 digits indicating the year and last part of the formula, TEXT(B2-DATE(YEAR(B2),1,0), "000"), returns the last 3 digits of the 7 digits Julian format.